Metal Frame Above Ground Swimming Pools have you swimming in just a matter of a few hours. 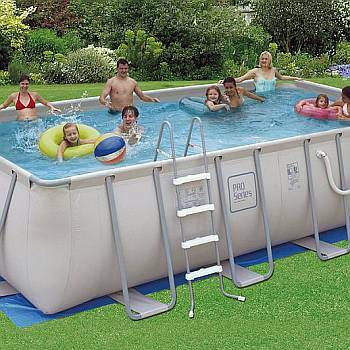 Easy to assemble usually with no tools required, these are complete, do it yourself, above ground swimming pools delivered to your door ready to go right out of the box! These pools come with just about everything but water. Stong side walls are made of durable vinyl material which provide long lasting strength so you can enjoy your pool for years. 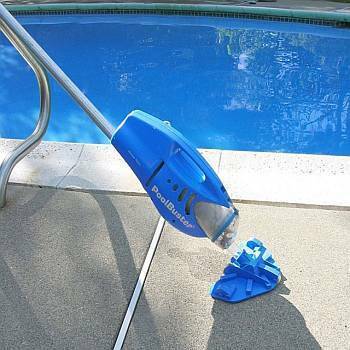 Pump and filter systems are included to keep your pool clean. These pools come in a variety of sizes so check out the one that is the best fit for your needs.